When temperatures dip below zero, it’s too cold for farmers to grow fresh produce in Tulsa. Until spring, almost all of the fresh fruits and vegetables distributed through the Community Food Bank of Eastern Oklahoma are imported from warmer climes like Mexico and California. Those donations are few and far between, often leaving the food bank distributing non-perishable items such as canned tomatoes, peanut butter, and pasta instead of fresh foods. To address this gap, the food bank started to grow its own greens, ensuring a stable supply of fresh, locally-grown produce for its clients. “Our priority is getting healthy foods to the people that need them, but getting donated produce has been a big challenge for us—and having fresh produce is even tougher in the winter months,” said John McCarthy, the food bank’s director of community incentives. 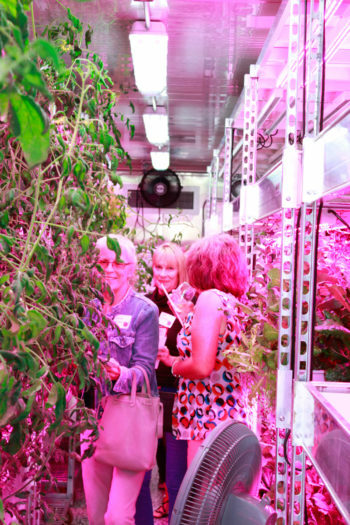 In 2016, the food bank installed a vertical farm—an indoor, temperature-controlled environment where food is grown in stacked towers under LED lights. The two 40-foot by 8-foot shipping containers that make up the operation were upfitted into indoor hydroponic farms by Growtainers, one of several manufacturers of vertical farm systems. The containers are designed to produce up to 1,800 heads of lettuce and other leafy greens every 45 days—regardless of the time of year. “We harvest greens in the morning, and they’re available in the afternoon, producing a really nice product we can count on,” McCarthy said. Farming is generally not commonplace among food banks. Feeding America, a nonprofit, nationwide network of food banks, reports that only 29 of its 200 members operate farms and distribute that produce to food insecure and low-income clients. And this is mostly because land is expensive to acquire or lease; growing food is time- and labor-intensive and requires specialized knowledge; and many food banks choose instead to focus their efforts on the logistics of getting food to people in need. But vertical farms—with manufacturers’ promises of producing large amounts of food in a small footprint through high-tech, plug-and-play growing operations—could bring about a shift in food banks’ willingness to grow their own food. Unlike greenhouses, which can lack light and temperature control, thereby limiting the growing season, vertical farms might offer food banks the ability to grow food year-round. 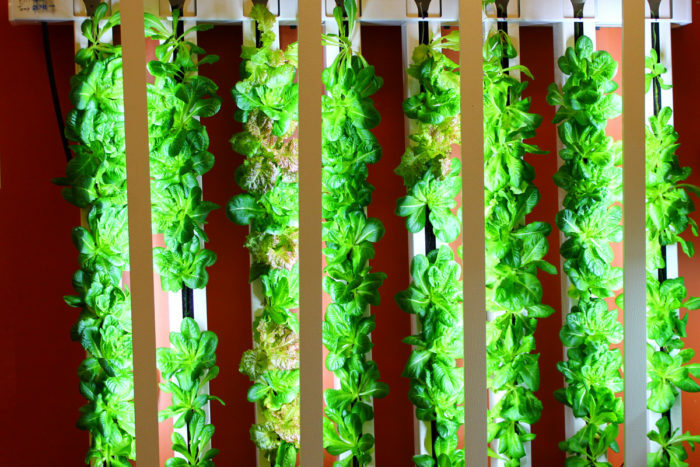 With the National Organic Standards Board recently making the controversial recommendation that hydroponic and aeroponic systems be eligible to earn organic certification, vertical farms are poised to reach new levels of popularity. And though there is no data on the number of food banks operating vertical farms, several appear to be experimenting with the high-tech approach. One of the biggest arguments against food banks getting into the vertical-farming business is simply that these systems are pricey. The Community Food Bank of Eastern Oklahoma paid $140,000 for its two Growtainers, securing a grant from the Morningcrest Healthcare Foundation to purchase the vertical farms. 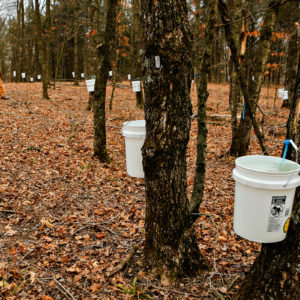 It costs an additional $680 per month for electricity to power them. For nonprofits, cost can be a barrier and, in some locations, indoor farms are an unnecessary expense. The learning curve can also be steep and most food banks rely on volunteer labor to handle maintenance and harvesting, often with training from the manufacturers of the vertical systems. The climate was the main reason the Surrey Food Bank, the second-largest food bank in British Columbia, installed a vertical farm from Living Garden Foods at one of its four locations earlier this year. The wall-mounted towers grow produce in eight rows; fresh lettuce and kale are harvested every six weeks, allowing the food bank to provide fresh greens for up to 80 families at its Cloverdale location. 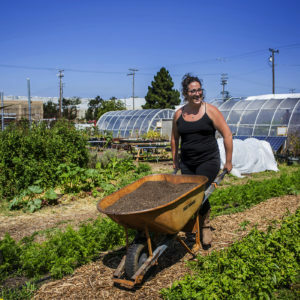 “A lot of food banks have outdoor community gardens, but this is a new thing, and we think it’s working well,” said Feezah Jaffer, the food bank’s executive director. Still, some food banks growing food in warmer climates are continuing to grow outside. San Antonio Food Bank, for example. operates a 75-acre farm and an urban orchard with 170 fruit trees, distributing produce to clients in 16 counties across Texas. The conventional farming plots grow everything from onions and potatoes to watermelons and cantaloupe, helping the food bank achieve its mission to provide fresh, healthy foods to those in need. Because of the success of the farms, Patrick Brennan, manager of facilities and agricultural initiatives at the San Antonio Food Bank, has no immediate plans to add vertical farming to the agricultural operations. For food banks where the climate isn’t as friendly to outdoor farming, vertical farms may hold promise. Given their positive experience with vertical farming, Surrey Food Bank in B.C. is hoping to install similar systems at the bank’s three other sites as well. While farmers donate apples, pears, cherries, and other locally grown fruits and vegetables to the food bank, those donations often fall short of demand, requiring the food bank to allocate part of its budget to purchase fresh produce. All together, produce comprises 45 percent of the food the bank distributes. 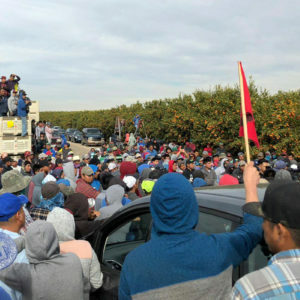 Before expanding the farming effort, however, Jaffer wants to address some of the challenges facing the current operation. Less than six months into production, volunteers at the Surrey Food Bank are still figuring out how to maximize the farm’s output. Some of the greens failed to grow, and others went to seed too fast. Additionally, varieties like Swiss chard grew well, but clients were unfamiliar with the greens or disliked their flavor. As volunteers gained experience with the vertical towers, production problems became less common and surveying families about what kinds of greens they prefer helped the food bank tweak its crop mix so no greens went uneaten. 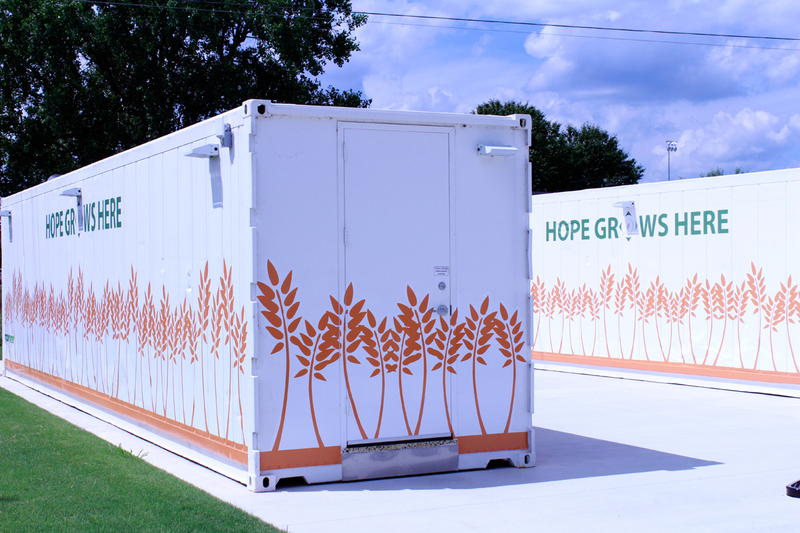 The Community Food Bank of Eastern Oklahoma also adjusted its approach based on feedback from clients and experience with the vertical growing system. 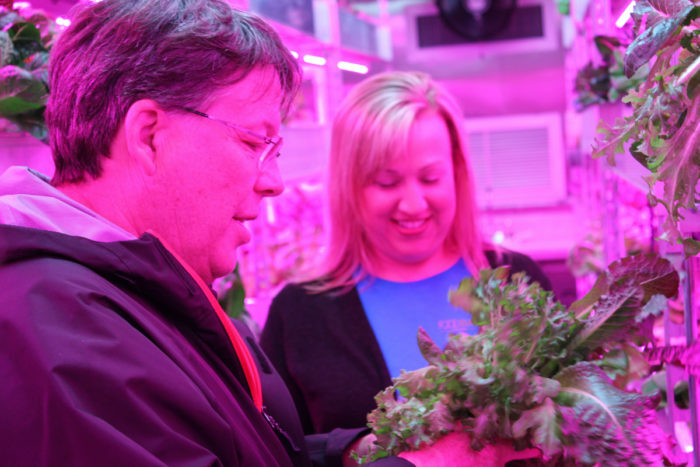 In addition to experimenting with growing tomatoes in one of its Growtainers, the food bank reduced output of non-nutrient-dense greens such as butter lettuce, romaine, and mesclun in favor of growing more kale and spinach—and teaching clients on how to prepare it by offering recipes—to maximize the nutritional value, and reduce waste. Jaffer at the Surrey Food Bank believes asking clients about their preferences helps provide a sense of ownership in the harvest and increases their willingness to add fresh greens to their food baskets. Top photo: The Community Food Bank of Oklahoma’s Growtainers. Photo courtesy of Growtainers. "With the National Organic Standards Board recently making the controversial recommendation that hydroponic and aeroponic systems be eligible to earn organic certification" -- This statement is incorrect. The NOSB failed to pass the new recommendation prohibiting hydroponic systems. This means that the last passed recommendation stands. That was from 2010 and the board passed a measure to prohibit hydro, aqua, and aeroponics. The USDA has not adopted that measure. Additionally, the NOSB did pass the recommendation at the last meeting that aeroponics are prohibited. Considering the three production systems similarities, it is a little unclear why the board recommended to prohibit aeroponics but not hydroponics or aquaponics. Awesome to see what kind of measures are being taken to get fresh foods to hungry mouths throughout the year. I wasn't expecting the price tag for a Growtainer to be that large but vertical farming is super cool and I'd love to read more stories about it! While I support local food production, especially by food banks, let's be clear about some of the limits of these operations. Some estimates find up to 300 calories of energy necessary for each calorie of food produced. Up to 70% of the calories in our diets currently come from grains, a crop probably never cost effective in operations like these. And finally, many of the seeds for the lettuces and greens grown under lights and in hydroponic operations now carry utility patents. This means local growers for the first time will find it illegal to save their own seeds. We’ve been growing a garden for years, but recently we haven’t had space and we’ve seen a huge difference in the taste of our food. There’s nothing like homegrown food from your own garden!